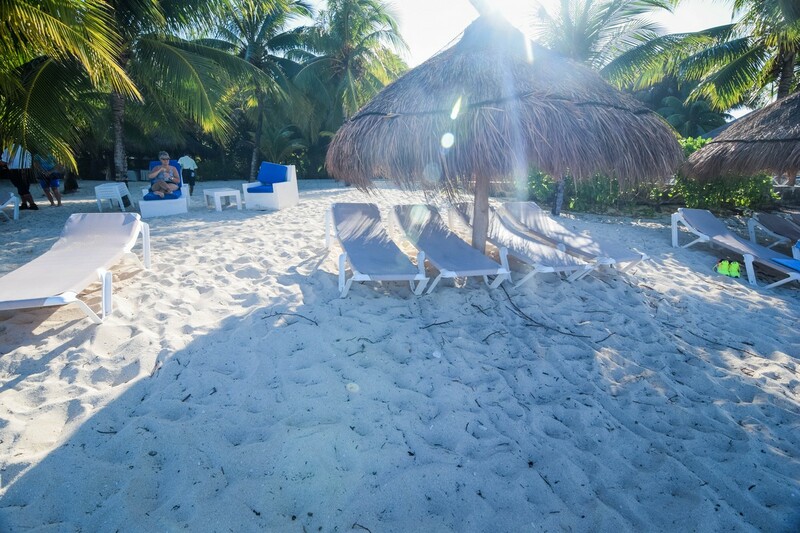 For years, I have read so many glowing reviews of Nachi Cocom Beach Club in Cozumel, Mexico that I just had to try it out for myself to see what all the clamor was all about. 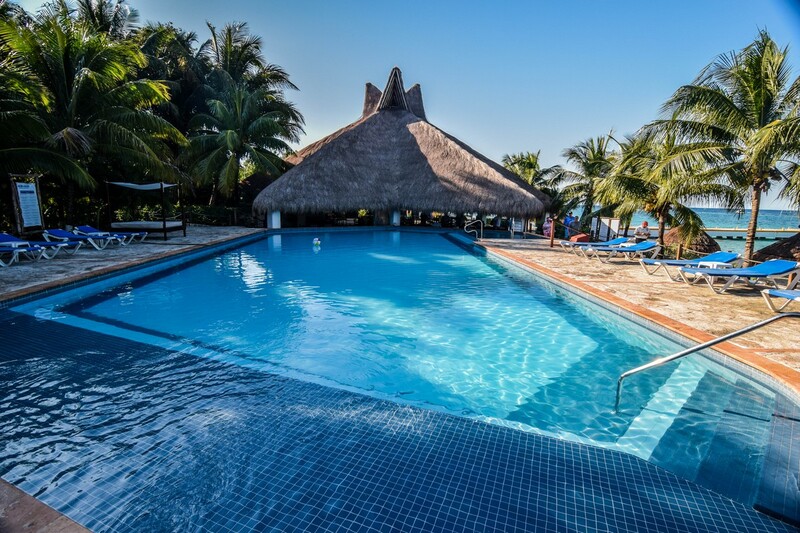 Nachi Cocom is an all-inclusive resort that offers guests a day pass experience, where they can enjoy unlimited refreshments, food, and access to pristine water on the beach and pool. It also distinguishes itself by advertising it limits the amount of guests that may visit on any given day to ensure no crowds. 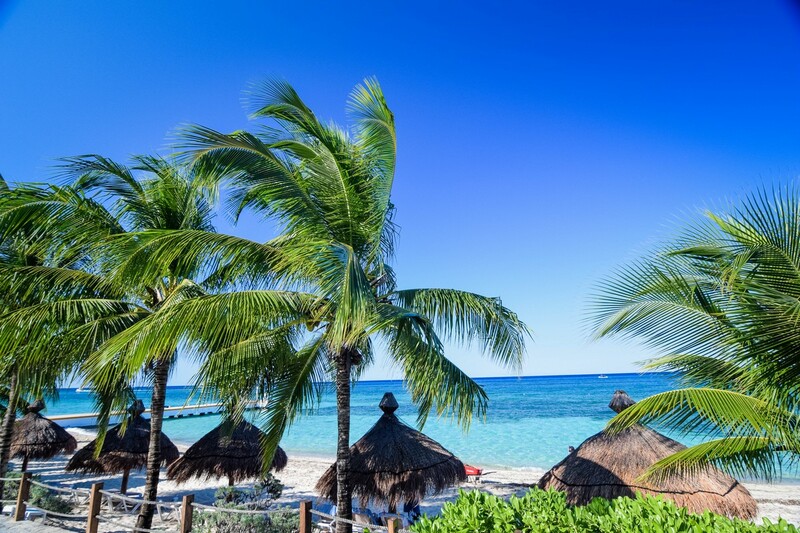 While in Cozumel on a recent Independence of the Seas cruise, I decided to bring the family and experience Nachi for myself. Palapas "Natural umbrellas" (first come, first serve). Getting to Nachi means likely taking a taxi. On our trip, it cost $17 each way for the taxi (total, not per person) from where our Royal Caribbean ship docks. 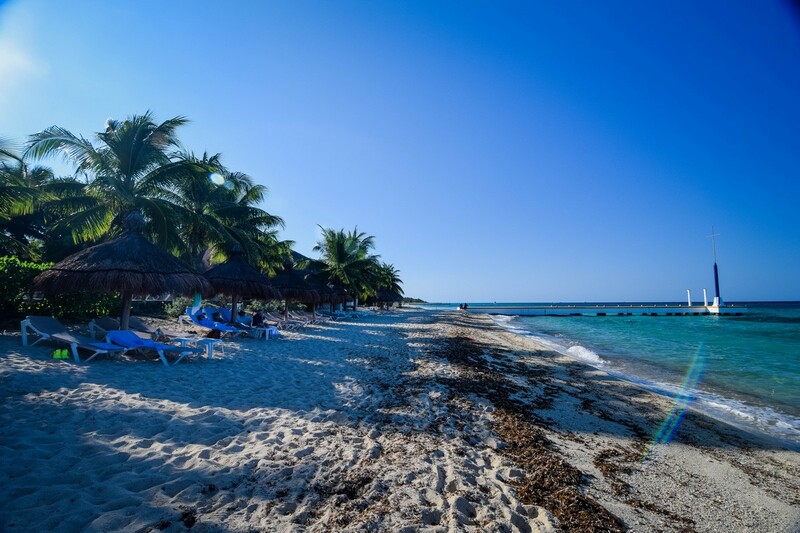 The drive is maybe 10-15 minutes, and is in an area of Cozumel that is does not have much except for beaches and natural vegetation. There is a parking lot that you can park at, if you choose to rent your own car. Upon arrival, you are greeted by a staff member who will welcome you and take your group photo (which will later be offered to sell to you). Afterwards, you check-in at the kiosk to confirm your reservation. Reservations are strongly encouraged, and can be made via the website. Reservations require a small deposit to secure your spot, with the remainder of the cost paid at check-in. They take cash or credit cards (Visa or Master Card). Be sure to bring a print out of your confirmation. 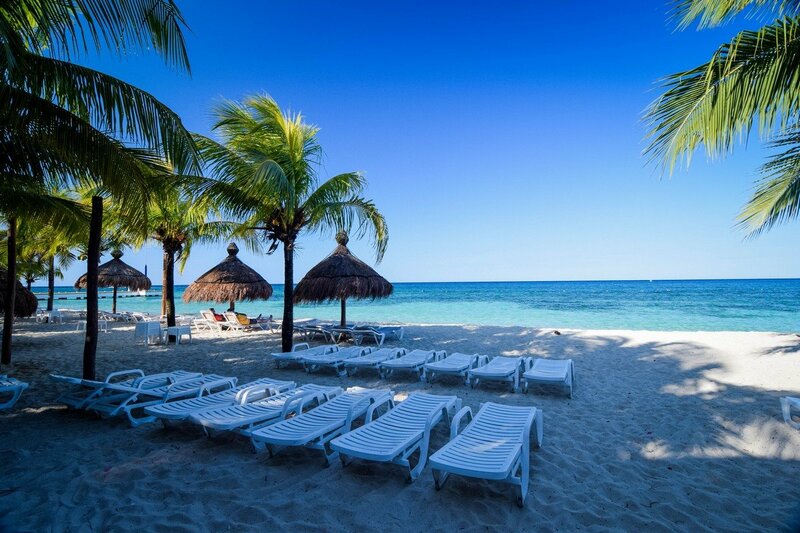 After you are checked-in, you will be assigned a waiter who will allow you to pick a spot on the beach. The spots, which are palapas that have lounge chairs underneath, are first-come, first served. Once you pick a spot, you are free to explore the grounds. 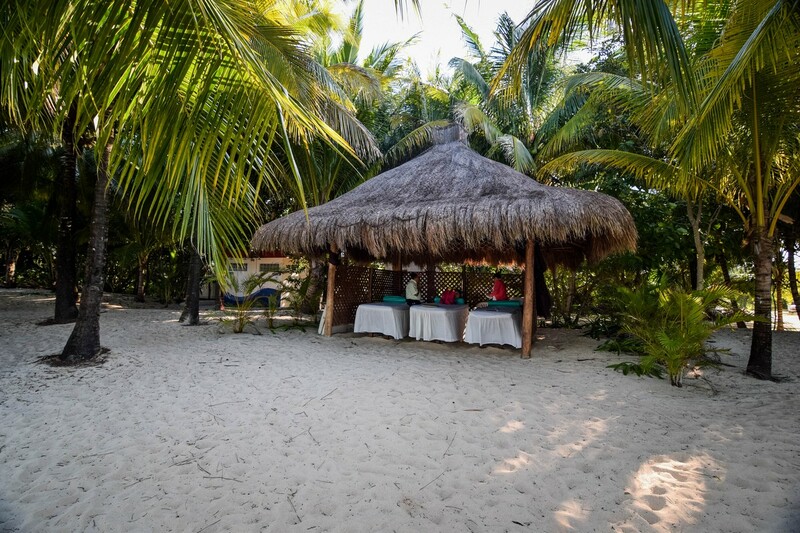 There is a large beachfront access, along with private pool and hot tub. Towards the back of Nachi are some hammocks. Your waiter is your go-to representative while at Nachi. 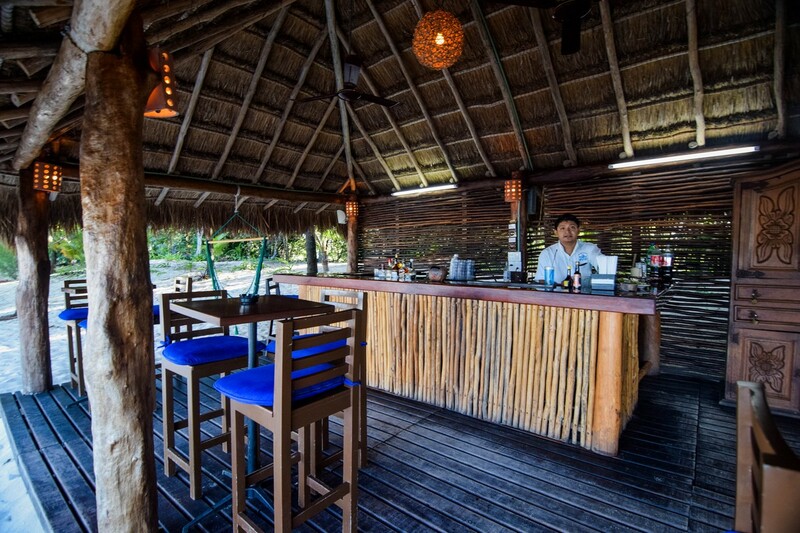 He will take your drink and food orders, and deliver them right to your palapa. 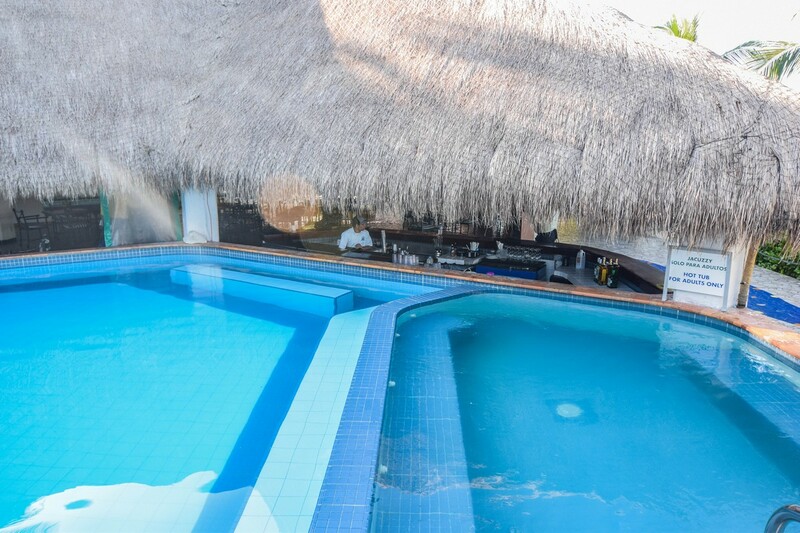 You do have the option of going to the swim up bar at the pool, or the beach pool if you prefer. There are seats at both bars to enjoy drinks. 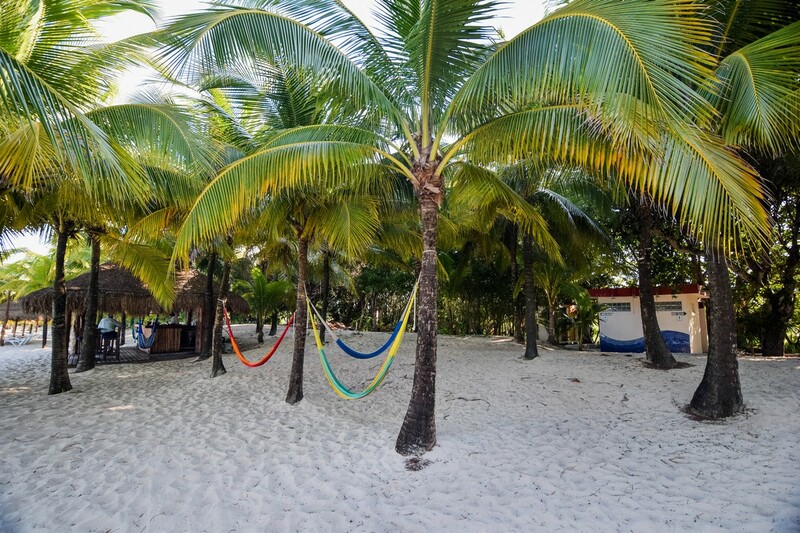 Nachi does not offer activities, but they do partner with a third-party company that offers beach massages, water sport rentals, parasailing and more. The representatives for this company can be found roaming the beach, if you so choose. Alcoholic and non-alcoholic beverages are included with the price of admission, and you can order as much of each as you like. On our visit, the kitchen did not open until 10:30am, but once it opened, we could order as much as we liked throughout the day. Likewise, the drink service is available as soon as Nachi opens, and offers beer, cocktails, shots, and pretty much anything else you would expect to find at a bar. On an island that offers so many beach experiences, Nachi Cocom has built a reputation on offering great service, and low crowds. After my visit, I can see why Nachi stands out among the choices. We tried Nachi Cocom based on reputation, and for a relaxing day for kids and adults. 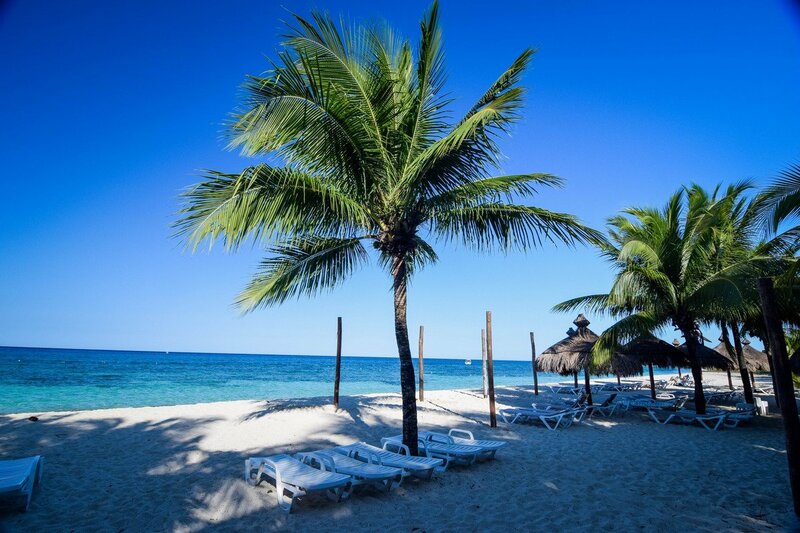 At its heart, Nachi is all about relaxing and lounging on the beach, by the pool, or both. Nachi intentionally does not offer tons of activities, because it wants a low-key experience for its guests. For some, that may be a problem but we enjoyed taking it easy. For us (and especially the kids), it was about enjoying time in the water. The food was pretty good, and certainly indicative of the kind of freshly made Mexican cuisine that we have always enjoyed. 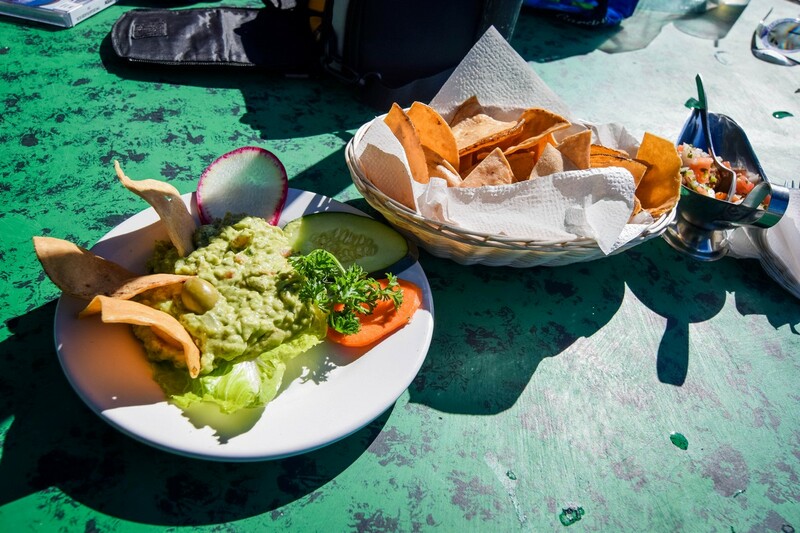 While it may not be the best local food in Cozumel, it does offer some good choices across a good-sized menu. If you are looking for truly authentic Mexican cuisine, you may not find it here, but the food at Nachi is still better than some overly touristy spots downtown. 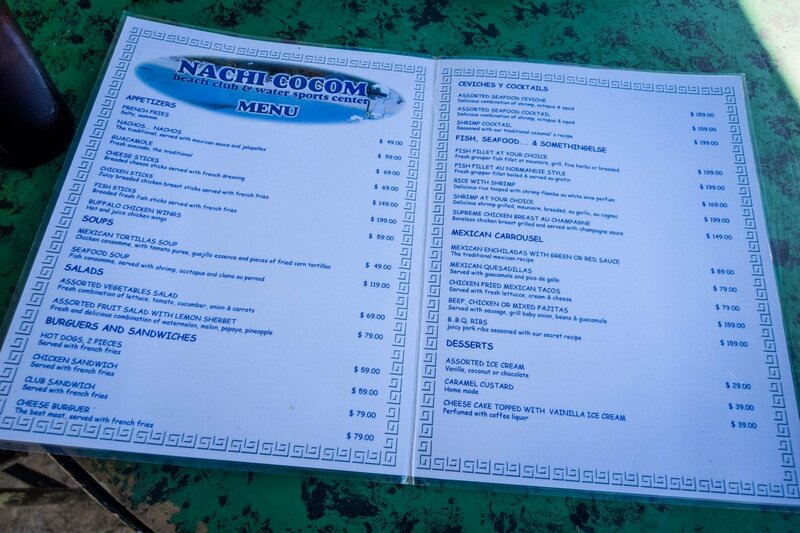 Overall, Nachi Cocom is the kind of place families and friends can go for a relaxing day by the beach, with plenty of food and drink to go around. The admission price for Nachi is quite reasonable, especially for those that plan to drink a lot. We found the cost for our young children to be extremely good. The level of service and terrific atmosphere at Nachi make it clear why so many people have been a fan of Nachi Cocom for so long.